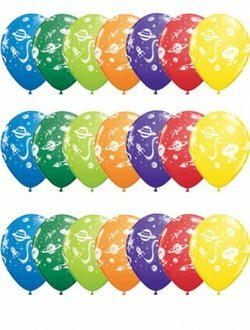 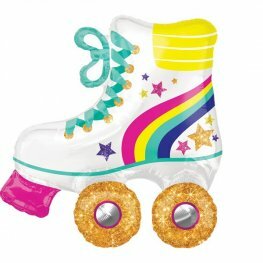 Childrens Popular Balloon Themes From Space Aliens, Clowns, Cute Teddy Bears And More. 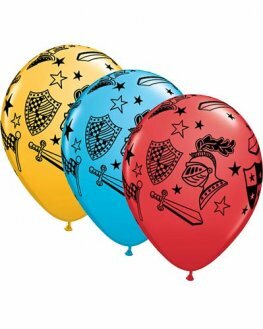 Available In Foil, Latex And Bubble Balloons. 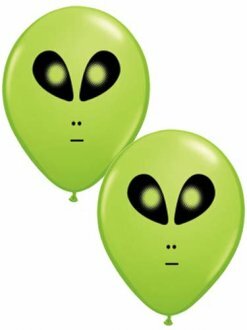 Qualatex Lime Green Alien Face 5 inch Latex Balloons. 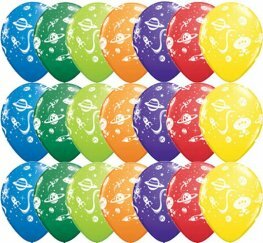 These Latex Balloons Come In Packs Of 100 Balloons Per Bag. 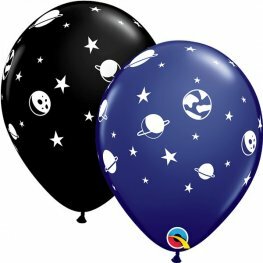 Space Themed 11 Inch Assorted Latex Balloons. 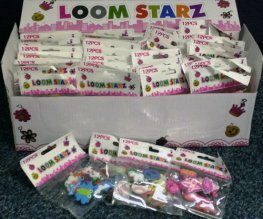 The Assortment Includes Navy Blue And Onyx Black With White Print. 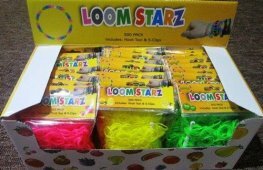 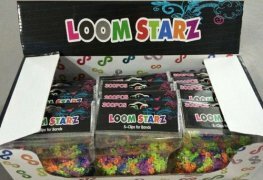 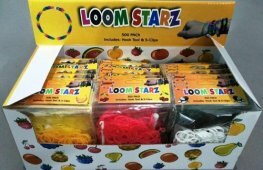 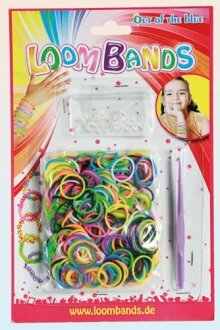 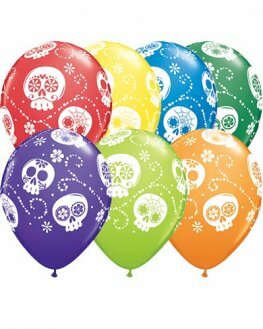 With 25 Latex Balloons Per Pack. 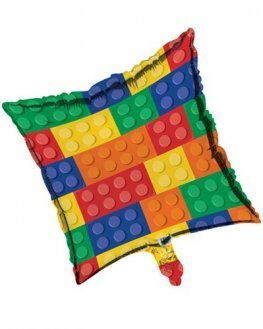 18 Inch All Over Blocks Print Metallic Square Party Balloons. 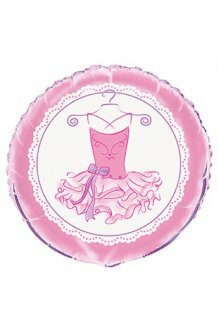 18 Inch Pink Ballerina Helium Quality Non Message Foil Balloon. 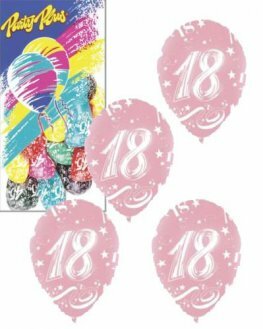 Selfie Celebration 18 Inch Round Wholesale Helium Foil Balloon. 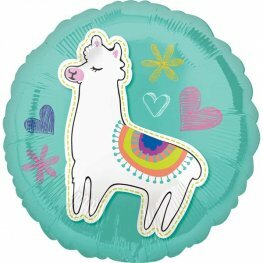 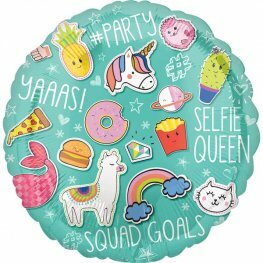 Selfie Celebration Llama 18 Inch Round Wholesale Helium Foil Balloon. 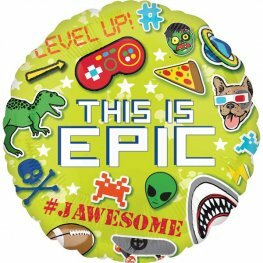 Epic Party THIS IS EPIC 18 Inch Wholesale Helium Foil Balloon. 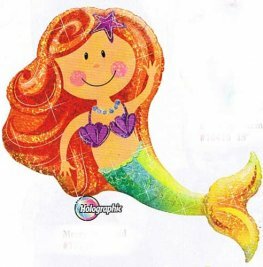 Qualatex Merry Mermaid 38 inch Wholesale Holographic Supershape Helium Foil Balloon.